There is a certain historic drum which has been attracting a certain amount of attention. I am hoping that you will take a look and tell me what you can. 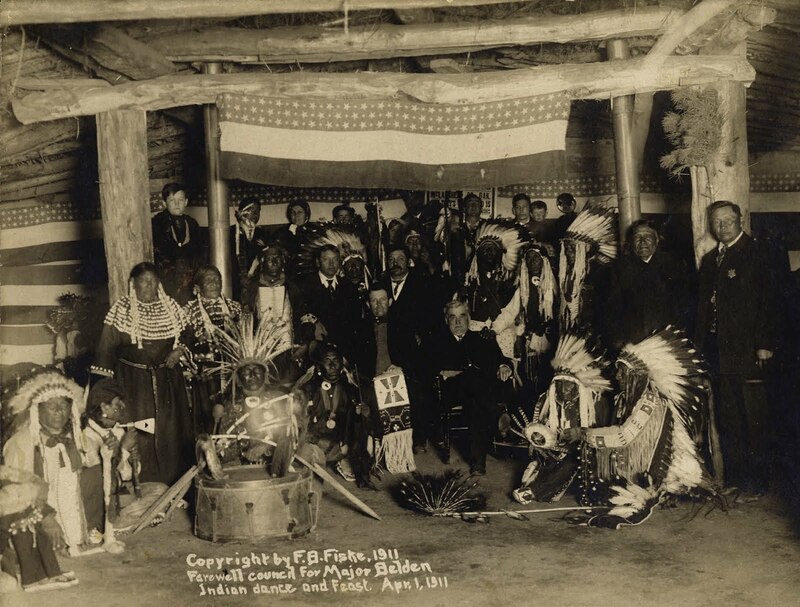 Here are a couple of photos from Standing Rock Indian Reservation (Sioux), taken before 1912. 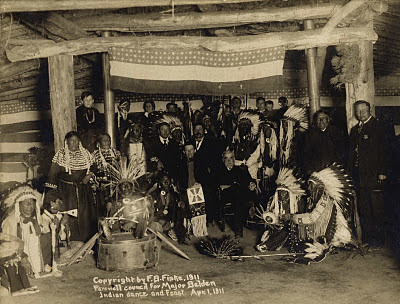 The second picture is captioned “Dream Dance Drum” – a particular kind of drum associated with the Ojibwe tribe beginning about 1876 and spreading to other tribes thereafter. However, it looks to me like the drum is a commercial bass drum - it differs quite a bit from photos of known Dream Dance Drums.